Just For Laughs Sydney is returning 28 Oct-3 Nov 2019 to celebrate its 9th year! Just For Laughs Sydney is an annual week-long comedy festival held the at the Sydney Opera House and various venues around Sydney. 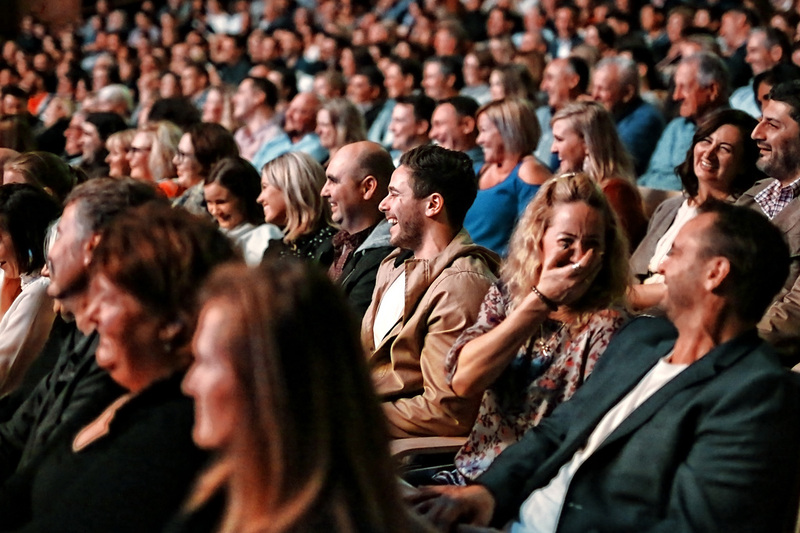 In previous festivals, JFL Sydney has attracted a top lineup of comedians including Ken Jeong, Dave Hughes, Hannah Gadsby, Russell Brand, John Cleese, Gad Elmaleh, Eddie Izzard, Kevin Bridges, Judith Lucy, Drew Carey, Noel Fielding, Margaret Cho, Reggie Watts, Danny Bhoy, Dylan Moran, Bill Bailey, Martin Short, Kathy Griffin, Bert Kreischer, Demetri Martin, Tommy Tiernan, Rhys Darby and many others. Just For Laughs Sydney is now in its 9th year and continues to grow as a major festival on the world’s comedy calendar.